The Dude from Another Dimension VITAL TOONTISTICS: Toon Tools: Animated Toon Television, Jet Backpack, Turtle Tracker, Retroboard, Plasmic Pistol Favorite Saying: "We'll be right back!" . . .
April's Best Friend VITAL TOONTISTICS: Toon Tools: Animated Toon Television, Press Pass, Lap Top Computer, Punk-poundin' Purse, Two Curler Grenades, Hairspray Gun Favorite Saying: "Are you si. . . The Cool Cruisin' Cosmic Chick VITAL TOONTISTICS: Toon Tools: Animated Toon Television, Anti-gravity Boots, Cosmic Comb, Computer Bag, Pistol-packin' Mirror, Turtle Communicator Favorite Saying: &. . .
April's Big Bad Boss VITAL TOONTISTICS: Toon Tools: Animated Toon Television, Press Pass, Bull Horn, Super Sub Sandwich, Toss 'em Typewriter, Phony Phone Favorite Saying: "Get back to work!&q. . . The Bandana-spinnin' Reptile Wonder! 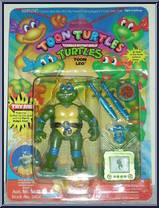 VITAL TOONTISTICS: Toon Tools: Animated Toon Television, Toon Bos, Turtle Communicator, Toon Turtle Pizza Disc Favorite Saying: "Paint me green or die!&qu. . . The Eye-bulging Bad Boy Buster! 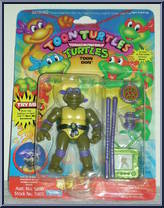 VITAL TOONTISTICS: Toon Tools: Animated Toon Television, Toon Katana Blades, Turtle Communicator, Toon Turtle Pizza Disc Favorite Color: Turtle Green Favorite Sayi. . . 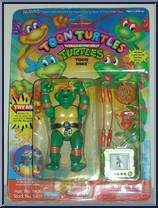 The Tongue-torquin' Turtle Toon! 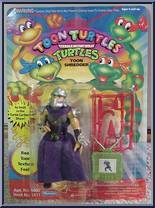 VITAL TOONTISTICS: Toon Tools: Animated Toon Television, Toon Nunchakus, Turtle Communicator, Toon Turtle Pizza Disc Favorite Phrase: "Am I dry yet?" Fa. . . 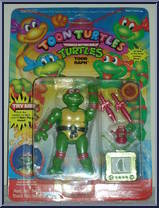 The Tongue-torquin' Turtle Toon! 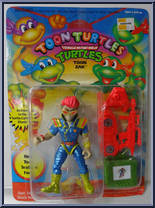 VITAL TOONTISTICS: Toon Tools: Animated Toon Television, Toon Nunchakus, Turtle Communicator, Toon Turtle Pizza Disc Favorite Phrase: "Am I dry yet?" Favori. . . 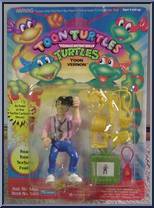 The Head Turnin' Toon Turtle! 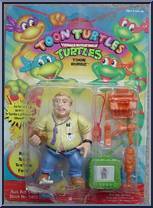 VITAL TOONTISTICS: Toon Tools: Animated Toon Telvevison, Toon Sais, Turtle Communicator, Toon Turtle Pizza Disc Favorite Schtick: Pie-in-the-face Favorite Saying: &q. . . 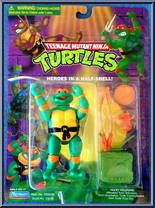 The World Dominating Dunderhead VITAL TOONTISTICS: Toon Tools: Animated Toon Television, Cutting Armor, Scribble Sword, Ninja Stars, Doodlin' Fist Daggers, Kama Favorite Snack: Cold Turtle Soup F. . . The Time-travellin' Teen From Dimension X! 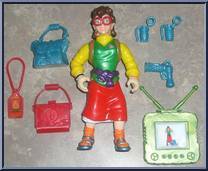 VITAL TOONTISTICS: Toon Tools: Animated Toon Television, Hyper Hoverboard, Time-travellin' Laser Gun with Power Pack Favorite Saying: "Now back to t. . .
Channel 6 Camerman! VITAL TOONTISTICS: Toon Tools: Animated Toon Television, Press Pass, Mini-cassette Headset, Pencil Knife, Video Camera Gun, Clipboard Shield Favorite Saying: "Report the n. . .